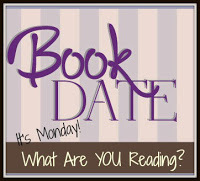 Book By Book: It's Monday 12/31! What Are You Reading? Happy New Year! I am so glad you're enjoying the holidays and feeling a little better. We had family in town for a week and now they are gone it seems quiet. I am excited to begin reading for the CYBILS awards, which will take a long local library visit where I hope I can find all the finalists. Oh, that sounds like fun, Helen - enjoy! I’m going to add Less to my list. I don’t read a ton of adult fiction, but I would like to work more of it into my monthly goals in 2019. The Parker Inheritance was such a action-packed, whirlwind story full of adventure AND history. I also listened to it on audiobook and I could hardly bring myself to stop it. That usually means finding a lot of jobs to finish around the house (since I usually work while I listen). I hope you have a very happy new year. I would like to learn more about Lyme as it seems to be a hot topic all around me (yet I know practically nothing about it). If you have a good post about this to kickstart my understanding, feel free to drop me the link. It’s been a pleasure getting to blog with you throughout 2018, Sue. I hope you and your family have a wonderful New Year! ha ha - I am the same with audios - working around the house with my earbuds in! Happy New Year! I've enjoyed getting to know you, too!! Ah Sue we have to part company on Here and Now and Then. I wasn't grabbed by it, it could have been that I was tired but I found it somewhat not my taste. I thought he had some great details about the future and time travel but I just couldn't connect emotionally with his characters. Good that you are feeling better and have been out and about, the show sounds amazing. Ah, well - I am just such a huge time travel fan! And I really did connect with the characters. My husband was just so-so on it, too. I'm glad that you are feeling better. It is nice to have a chance to knock some books off TBR mountain once in a while too. Come see my week here. Happy reading and happy New Year! I own Dead Wake & need to read it. Erik Larson is a favorite nf writer. I've certainly heard of Less, maybe someday I'll get to it. The Parker Inheritance was good. Hope you enjoy it, too, Sue. I'm glad you're better & had a nice Christmas. Happy New Year, too! Thanks for the well wishes...and Happy New Year! Oh, interesting! There are often subtleties in print that are missed on audio - I'll have to take a look at it. I did find the beginning a bit confusing, but I am into the flow of it now. I loved LESS but no one else in my book club did. I think the humor escaped them. Happy New Year. Really?? Interesting. I'm finding it very clever and amusing but also thoughtful. Humor is a very individual thing, though! Thanks for this review of American War. It's on my list of books by Canadian authors, but I haven't gotten around to it. (I need more hours in the day!) I enjoyed The Parker Inheritance much more than I expected to. I've added Less to my list. It is interesting reading reviews of it from people on Goodreads. It looks like the kind of book you either love or hate. Yes, I found it fascinating that a Canadian author - originally from Egypt and Qatar - wrote so spot-on about American politics, customs, and history. Definitely one to move up your list! I'm surprised to hear that some people hated Less - it is such a fun, funny book!